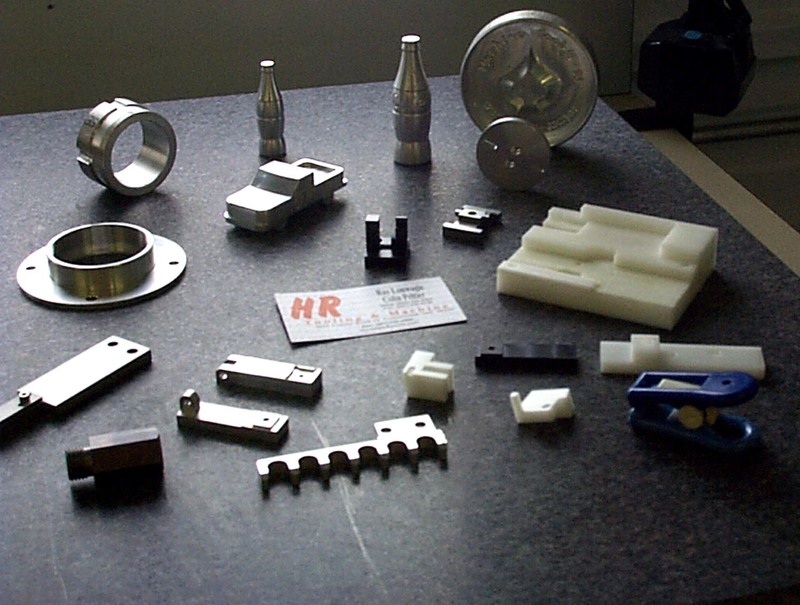 Welcome to HR Tooling & Machine, your one stop shop for all your machining needs! Whether it be CAD/CAM design work, custom CNC or manual machining, production runs, plastic injection molding, or packaging services, HR Tooling & Machine can assist customers with design and development of their project from start to finish! Using our CAD/CAM capabilities, we can design your part to your specifications and needs. With our CNC machining centers and CNC lathe capabilities, we can see your concept through the production process. We offer our customers numerous products and services with excellent customer support that only comes with the years of experience found at HR Tooling & Machine. We have the expertise to do the job right and at the right price! The staff at HR Tooling & Machine pride themselves on quality. Every part that leaves the shop is checked for accuracy and quality to ensure customer satisfaction. We offer big city quality with small town prices and excellent customer service that is sometimes hard to find in today's day and age. We build a partnership with you, so we can solve any of your tooling needs without wasting your time or money.